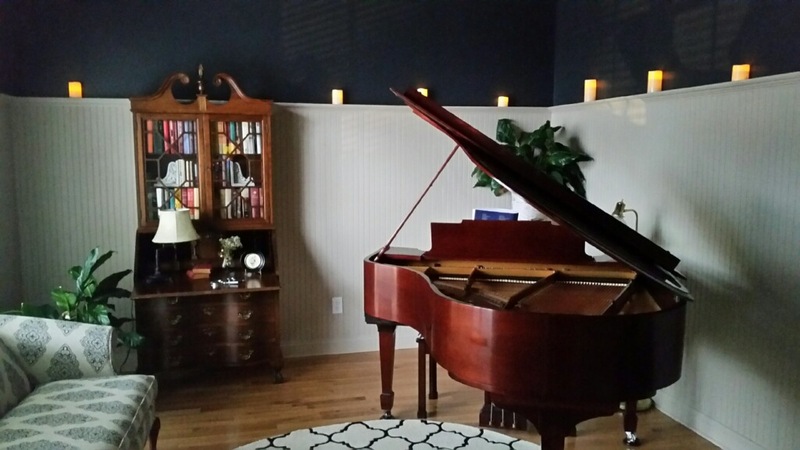 One of my clients had a living/sitting room off their foyer and wanted to convert it to a music room for their new piano. They had the flooring installed and had the upper part of the room painted with a dark black/blue color. They asked me to install beadboard wainscoting around the room. It took 13 sheets, installed at a height of 6′, and primed/painted a light gray color. I replaced the baseboard and quarter-round as well. The panels are capped off with a 3″ plate rail that surrounds the entire room.